By Saltbush, January 14 in What is it? From scans of Joy Pitman's family albums. I think it is a 1925 since I can't see outside door handles which were introduced in 1926 (in North America). I said 26 because I could not find a photo of a 25 with the headlight bar. All the 25's I found were bar-less. Don't go by the headlight bar since you could add those to the any 1923 - 26. I helped my father in law restored a 1924 Chevrolet touring back in the late 1960s that had the headlight bar when he bought the car from the original owner. Every period photo I have seen of a 1924 Chevrolet did not have the bar either, but many people added them. For one thing they gave stability to the front fenders. I also believe 1926 is correct since there are no outside door handles. It may well be a body by Holden, being an Australian car, so the scuttle forwards is clearest id guide. The Government had import restrictions on bodywork to foster the local bodybuilding industry. Pic of an Aussie 1926 Chevrolet attached. 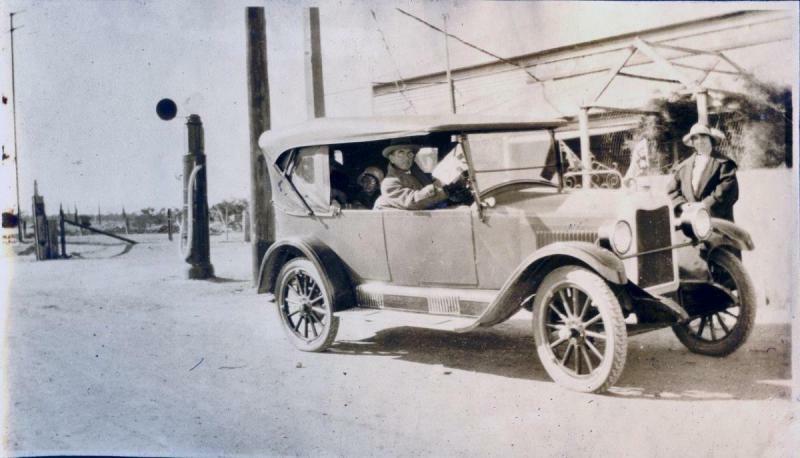 Remember that the body on the OP car is probably Australian built - likely to be by Holdens, who already had connections to GM although they did bodies for many makes in the 1920s. They became part of GM in 1931. 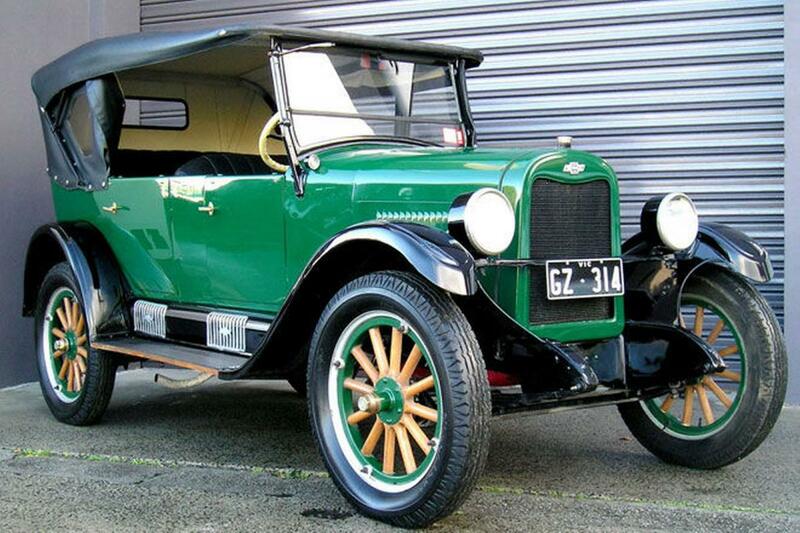 And here's an Aussie 1925 Superior K Tourer. For 1925, I understand that the early Chevrolet Superior K series and had no headlight mounting bar and the later ones had a tubular headlight mounting bar. The change was about August 1, 1925 for US produced cars. "Holden's Motor Body Builders developed from a South Australian saddlery business established in the 1850s. In 1918 Holden's Motor Body Builders was established. 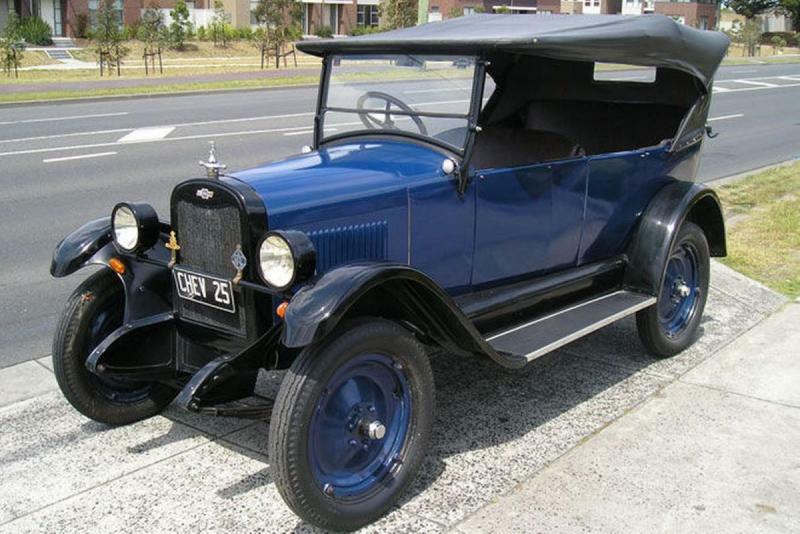 In 1931 Holden's Motor Body Builders merged with General Motors Australia to form General Motors-Holden's Ltd."